Rocket Clutch – Designed for light jigging applications. Engages the spool with your thumb without having to turn the handle for instant hooksets. Taking design cues from the Revo® lineup, the new Blue Max™ reel delivers first-rate performance in and exceptional value. 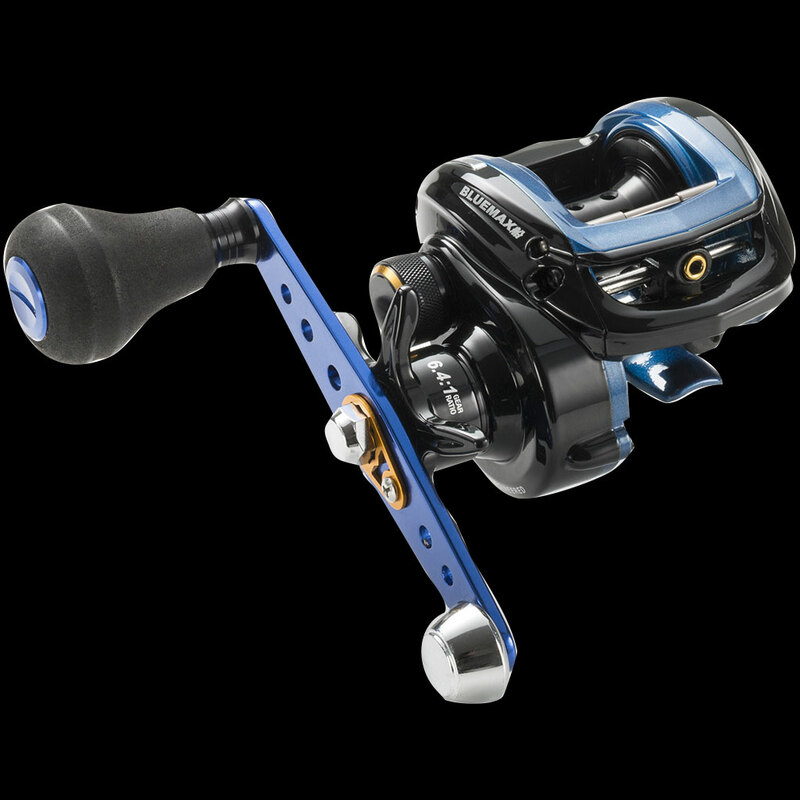 The externally adjustable MagTrax™ casting brake ensures efficient casting control while the 3+1 stainless steel bearing system delivers a remarkably smooth retrieve. The extended power handle with oversize EVA knob makes the BlueMax a great starter baitcaster for lure casting and micro jigging.